"It's the most wonderful time of the year!" The spooky, Halloween goodness has only just begun! The clothing store Unique Vintage recently teamed up with Nerdist for a Ghoul Gang photo that's featured in today's Horror Highlights. Also: Razor Reel Flanders Film Festival 2017, Coma Ward board game details, Mortal Kombat hits New York Comic Con 2017, Final Girls Berlin Film Fest's call for submissions, and release details and a trailer for Bunnyman Vengeance. Unique Vintage's Ghoul Gang Photo Shoot: "Bring on the gothic glamour! Leading up to Halloween, Unique Vintage is celebrating the spookiest season with Nerdist for a special photo shoot promoting their Ghoul Gang t-shirt and Creepy Collection of retro clothing. Whether you're the daughter of Dracula or a Mistress of the Dark, this collection has something for you! Inspired by the best-selling t-shirt, the Ghoul Gang includes: Bizarre States podcast host Jessica Chobot as Morticia Addams; Nerdist Editor-in-Chief Rachel Heine as Lily Munster; Unique Vintage buyer, Chelsea Trimble as Elvira, Mistress of the Dark; and burlesque dancer, pin-up model, and vintage voyager, Ashleeta Beauchamp as the Bride of Frankenstein!" Razor Reel Flanders Film Festival 2017: Press Release: "Razor Reel 2017 is all but ready to gear up. With three more weeks to go until the kick off of the Flemish genre festival’s tenth edition, the full lineup has been revealed. From October 26 till October 31 Bruges will once more play host to an international selection of fantastic films worth your time. The 2017 program opens on a highly idiosyncratic note with Yorgos Lanthimos’ The Killing of a Sacred Deer, a pitch-black tragicomedy that merges myth with psychological revenge. Closing the festivities on Halloween is Joachim Trier’s Thelma, a classy riff on the horror of repressed lust. In between these two showstoppers, there’s no shortage of gems to discover. Read on for the full announcement below. Leading into the weekend, Friday’s programming starts with Nathaniel Atcheson’s close-quarters sci-fi mystery Domain, which is followed by Hounds of Love, Ben Young’s buzzworthy debut that may well go down as one of the most emotionally gripping survival thrillers of the decade. Also on Friday, Simon Rumley swings by to introduce Belgian audiences to the head-trip that is Fashionista before creatures come knocking to claim the night in B-movie romp It Came from the Desert. Saturday opens with 78/52, Alexandre Philippe’s expertly researched documentary exploring all facets of Alfred Hitchcock’s famous shower scene from Psycho. From an international master of horror, Razor Reel’s focus hones in on homegrown terror with Steve De Roover’s Forgotten Scares. The documentary sets the record straight on the little-known history of Flemish horror cinema. It is accompanied by retro screenings of Malpertuis and The Antwerp Killer. For those favoring more international genre offerings, Bill Watterson’s much-hyped Dave Made a Maze stops by for a visit while Benjamin Diouris’ Merrick, a post-outbreak narrative that strikes up a friendship between a former boxer and a teenager, could be a discovery of sorts. The evening promises thrills in spades with the action-packed combo of 68 Kill and Mayhem. Capping things off in perverted fashion is Dominic Brunt’s Attack of the Adult Babies, a midnight nasty if ever there was one. The home country focus spills over onto Sunday, which opens breezily enough with a family-friendly screening of Zombillenium. The animated film, a Franco-Belgian co-production, is followed by a lecture on the works of the much-missed George Romero, whose legacy is honored throughout the day with screenings of Day of the Dead and The Crazies. Also on Sunday, the Young Blood competition starts its search for the best directorial debut or sophomore genre film of 2017. Thailand, Brazil, and South-Korea all weigh in. While Nattawut Poonpiriya’s Bad Genius transplants a crime caper to a high school setting and filters its nail-biting suspense through an academic lens, Gabriela Amaral Almeida’s Friendly Beast (O Animal Cordial) sees the veneer of civility crumble away as a few too many people are ensnared in a huis-clos set-up. Cho Sun-Ho’s A Day (Ha-roo), meanwhile finds a troubled father stuck in a time-loop mystery as he desperately tries to save his daughter’s life. Before wrapping things up with the paranormal prowess of Thelma, Tuesday finds the final Young Blood filmmaking his way to the big screen. In Housewife, Can Evrenol delivers the unholy offspring of Giallo and H.P. Lovecraft. One last documentary puts a legendary stuntman in a well-deserved spotlight: To Hell and Back: The Kane Hodder Story. Also screening on the final day is Elisabeth Schuch’s The Book of Birdie, a debut that marries piety and sacrilege to offer a singular take – both dark and dramatic – on coming-of-age conventions. On the short film front, Razor Reel pulls out all the stops to help bring no less than 37 works from 12 countries to Belgian audiences. A Lovecraftian shorts program on Saturday beckons with both The Call of Charlie (Nick Spooner) and Sound from the Deep (Joonas Allonen and Antti Laakso). For more information about the feature films, short film lineup, the competitions, and guests, head on over to the Razor Reel website at: https://rrfff.be/. Follow the Razor Reel Flanders Film Festival on Facebook (https://www.facebook.com/RRFFF/) for more updates in weeks to come." 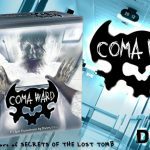 Coma Ward Board Game Kickstarter: Press Release: "BLOOMFIELD, NJ.— Everything Epic, a leading publisher of story-driven board games today announced the launch of a brand new hospital themed horror board game: Coma Ward, the terrifying creation of Florida based game designer Danny Lott. The game has been developed and is now ready for crowdfunding. Additional details and art assets will be continually revealed throughout the campaign set to run through November 2, 2017. 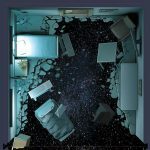 In Coma Ward, you are a patient abruptly awakened in an abandoned, yet still functioning hospital with no memory or idea of what is happening. You must search the hospital for clues and necessities. In your search, you may find unspeakably terrifying things. Each time you play, you explore an ever-changing St. Dymphna Memorial General Hospital as you search for the clues to your identity and the cause of the environment's unsettling emptiness. Balance your ever worsening terror and neurosis while monitoring your health and physical attributes. Dangers lurking in the empty hospital can destroy your already fragile psyche. Once clues are uncovered, the real horror begins. You may discover what is happening and find out who you can trust — if anyone — and how to win. “Coma Ward is an homage to the visceral and psychological horror of Clive Barker and David Cronenberg,” said Danny Lott, Designer of Coma Ward. “Horror is a mystery with a terrible solution. Horror, for me, is derived from two key elements: disempowerment and a lack of information,” said Lott about the game's design. 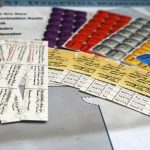 “Those ingredients run contrary to the archetypal foundations of board game design. 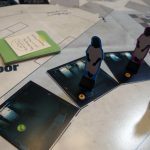 The upcoming game extends the boundaries of tabletop board games, entering a new realm of psychological horror." 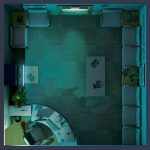 The base game includes over 30 unique rooms to explore, a highly thematic map gameboard, 20 dice, and 8 *sealed and secret* scenarios, called Phenomenon. More content will be added to the game as the Kickstarter meets its various stretch goals. There are three pledge levels to choose from in the campaign from a $50 core pledge, to a $75 mid-ranged pledge with an expansion, as well as the $100 premium pledge with all the shiny bells and whistles. Coma Ward will mark Everything Epic’s "Lucky 13th" Kickstarter campaign, most recently successfully funding their independent space epic board game, Secrets of the Lost Station. Big Trouble in Little China the Game is for Pre-Order now on www.BigTroubleGame.com and Rambo the Board Game will be coming to Kickstarter as the 14th campaign in January of 2018! (www.RamboGame.com). Mortal Kombat Hits NYCC: Press Release: "Warner Bros. Interactive Entertainment and NetherRealm Studios are celebrating the 25th anniversary of the world-renowned Mortal Kombat franchise this October with a variety of events and in-game activities. 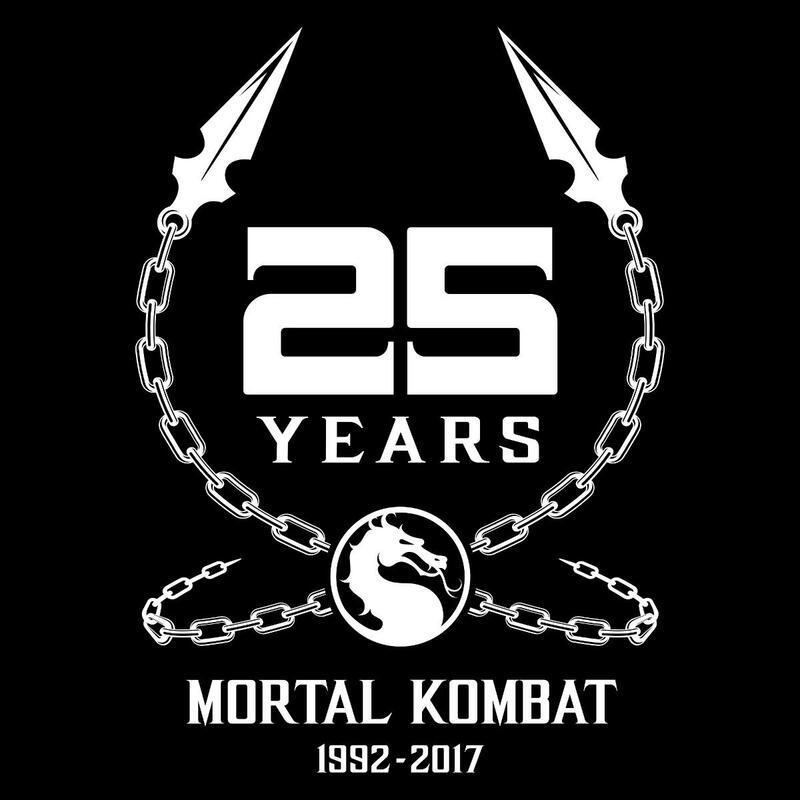 Show attendees are invited to join a panel that includes the original team that developed the first Mortal Kombat game: Ed Boon, John Tobias, Dan Forden and John Vogel. Moderated by Geoff Keighley, they will discuss the early days of the franchise, the evolution of the brand, and the series’ lasting impact on the games industry and pop culture. Just in time for Mortal Kombat’s 25th anniversary, Raiden, the eternal God of Thunder is the newest addition to the Injustice 2 character roster. Players who purchased the Injustice 2 Ultimate Edition, Injustice 2 Digital Deluxe Edition, Injustice 2 Ultimate Pack or Fighter Pack #2 can play now as Mortal Kombat’s protector of Earthrealm or as Black Lightning, a brand new Premiere Skin that accompanies the Raiden DLC. On October 5, Injustice 2, Mortal Kombat X, Injustice: Gods Among Us and WWE Immortals for mobile devices will receive Mortal Kombat anniversary in-game content introducing new and exciting characters for players to collect. Injustice 2 for mobile adds Mortal Kombat’s God of Thunder Raiden, allowing players to battle the deity in Challenge Mode. Raiden can be won in premium chests or purchased directly in a special offer. Mortal Kombat X for mobile adds Shao Kahn the Konqueror in full Diamond tier regalia. Players can also step up and battle against two new versions of Goro, the four-armed undefeated champion for 500 years. In addition, fans can gear up for intense raid-style combat in the all new Relic Hunt feature. Injustice: Gods Among Us for mobile adds the dangerous assassin Scorpion to its line-up. WWE Immortals pays homage to Mortal Kombat as WWE Superstar Xavier Woods suits up as classic Mortal Kombat character Raiden. 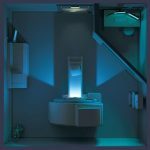 Mortal Kombat X is unveiling new Living Tower challenges through Oct. 9 that are themed to previous Mortal Kombat releases: Mortal Kombat 1-4, Mortal Kombat: Shaolin Monks and Mortal Kombat (2011)." 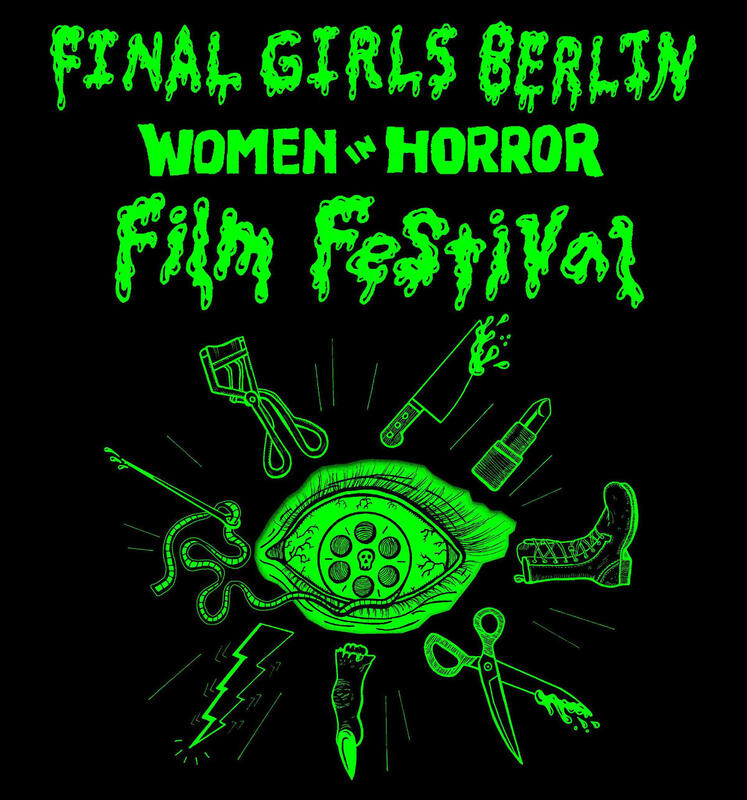 Final Girls Berlin Film Festival Call for Submissions: "The third edition of the Final Girls Berlin Film Festival will take place February 1-3, 2018. FGBFF showcases horror cinema that’s directed, written, and/or produced by women. We are committed to carving out space for female visions in horror, whether monstrous, heroic or some messy combination of the two. We place priority on highlighting underrepresented voices and are excited to welcome works by queer, non-binary, and POC filmmakers. "Even though horror has a long history of sexism, with women often relegated to the passive victim role, there are lots of exciting ways to subvert these tropes." says festival co-director Elinor Lewy. "Horror films are directly tied to the world we live in, it’s a manifestation of our everyday fears. I think making horror is a way to process these fears creatively and so it’s a genre filled with potential!" 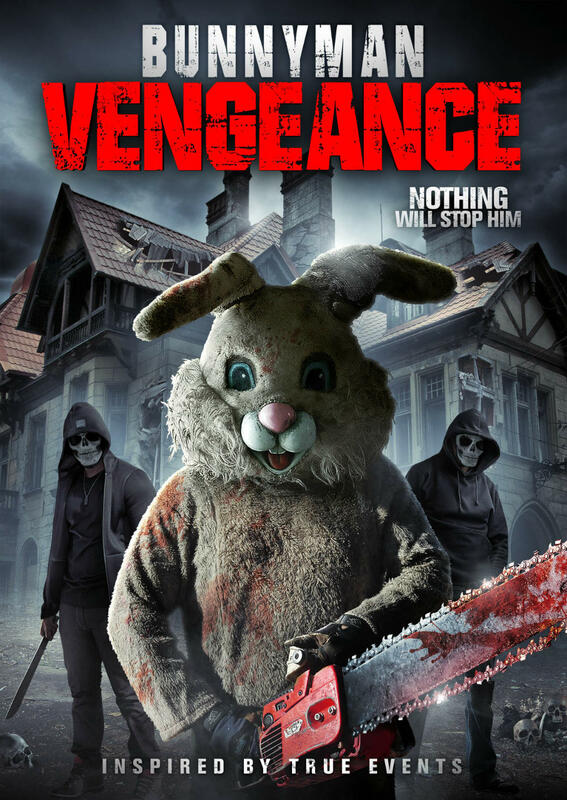 Bunnyman Massacre Key Art & Trailer: Press Release: "The deadly adventures of Bunnyman continue in the third and final film in the Bunnyman trilogy, Bunnyman Vengeance on digital 10/20 and DVD/BD on 11/21 from Uncork’d Entertainment. The adventures of Bunnyman continue in the third and final film in the Bunnyman franchise. The man known as Bunnyman returns home to find his family running a haunted house attraction. The family welcomes him home, but soon realizes you cannot domesticate a wild animal. Death and mayhem ensue as the family turn on one another to fulfill their bloodlust. From writer-director Carl Lindbergh, and starring Diana Prince (Puppet Master: Axis Termination), Debby Gerber (“Glee”), and Marshal Hilton (The Bunnyman Massacre), Bunnyman Vengeance escapes the bloody burrow 10/20 on VOD."